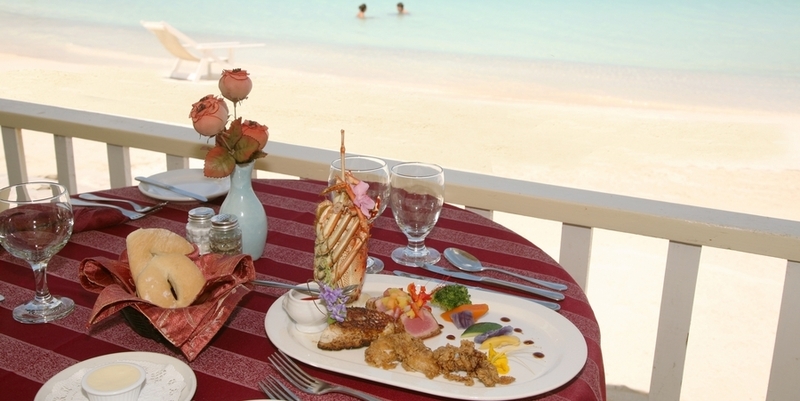 Adjacent to Antigua Village, located between the resort and neighbouring Sandals Grande Antigua is Ana’s on the Beach. 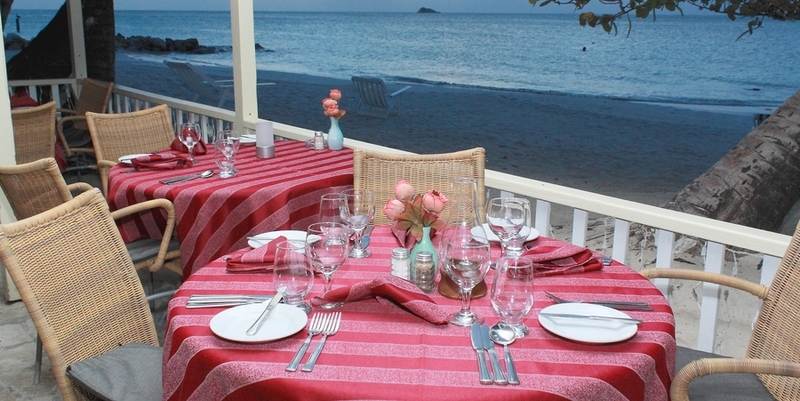 Everything at Ana’s is set in harmony with the glorious surroundings. 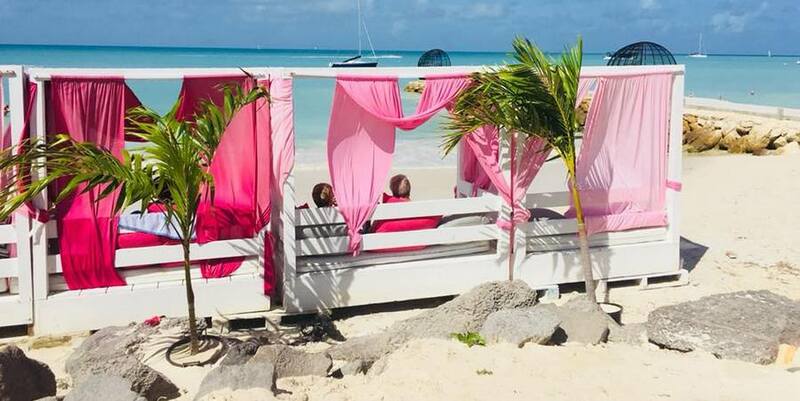 The elegant interior design in pink, black and white is beautifully framed from multiple points by the Caribbean Sea. On a crystal clear day, beachfront cabanas provide an exquisite and personal view of the horizon littered with neighbouring islands. Dine alfresco on the sumptuously appointed verandah meant for long lunches and diners. The vibrant art gallery showcases national and international artists, offering diverse styles and subject matter, all bound to catch your eye. Whether you choose to visit for lunch, tapas or dinner your senses will explore the taste of the Mediterranean and the Caribbean. All ingredients are fresh and locally sourced. Specialty items are delivered weekly and expertly prepared by the kitchen. The newly designed Shore Menu, filled with delightful bite sized selections, is on offer to complement the range of colourful cocktails alongside an extensive wine and champagne listing. The main menu offers culinary creations of note from Ana’s kitchen, including the unforgettable seafood and grilled platters. Ana’s is an establishment infamous for their special events, and at chosen moments in the season the island makes sure that the calendar is clear for the occasion, which is sure to delight. 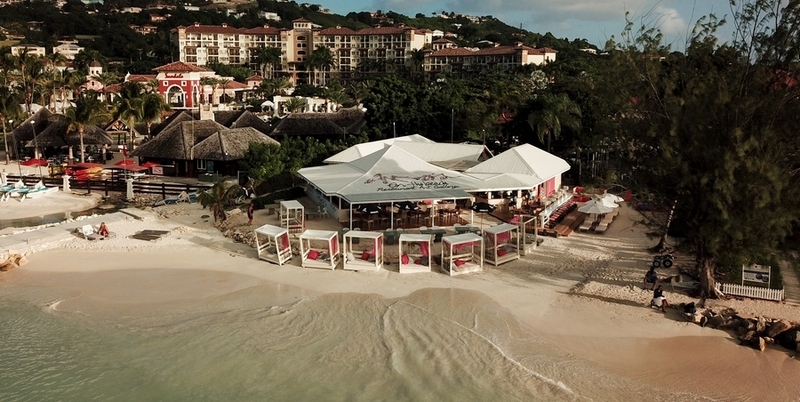 Beachtastic Sundays are meant to entice the beach connoisseurs and boating enthusiast with entertainment and lounging options, enhanced by the renowned bucket specials and appetizing grill menu; all meant to give new meaning to the relaxed custom of the Caribbean. Personal service from Ana’s Team will always make the day or evening remarkable. Be it on the open-air veranda, or in air-conditioned comfort in the orchid room, a warm welcome is the signature of Ana’s premium attendance to all guests. 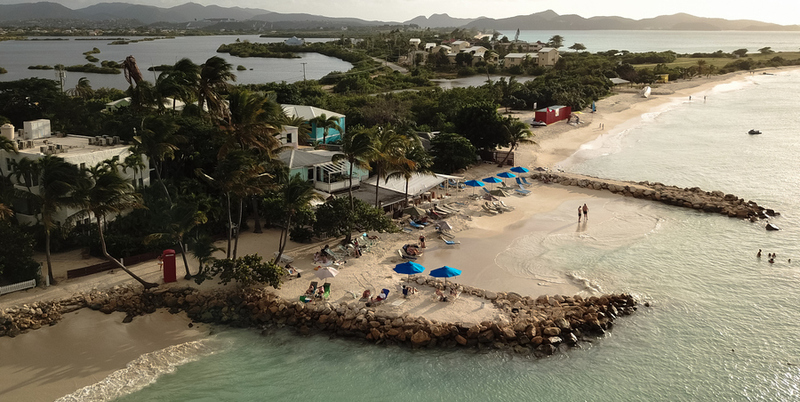 On the southern side of the resort on Dickenson Bay you will find Coconut Grove, set an idyllic location right on the beach, nestling amongst palm trees and lush tropical vegetation and opening out onto a sweep of white sand overlooking the turquoise Caribbean Sea. 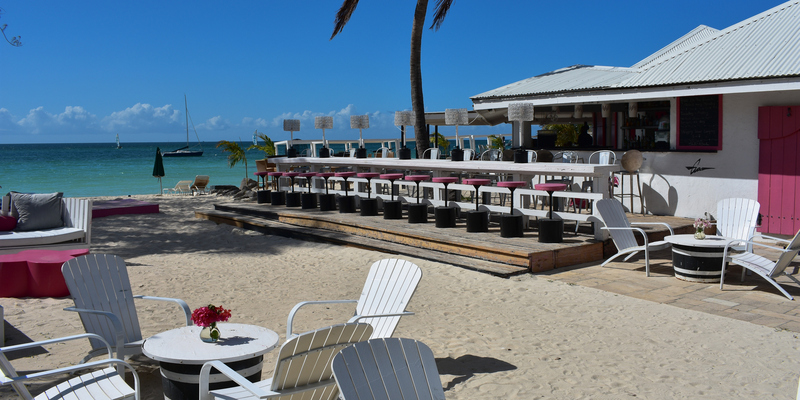 The bar and restaurant are equally popular with the island’s many visitors and local Antiguans alike. The atmosphere is the perfect combination of tranquility and vibrancy, fun and romance. With a spectacular view of the Caribbean sunset every night, Coconut Grove is the ideal place for a sundowner at the bar followed by a delicious dinner. During the day, Coconut Grove welcomes you for its famous Full Monty breakfasts from 7 am. You can then take a swim and a sunbathe on one of our beach loungers before enjoying a superb lunch of freshly caught fish. 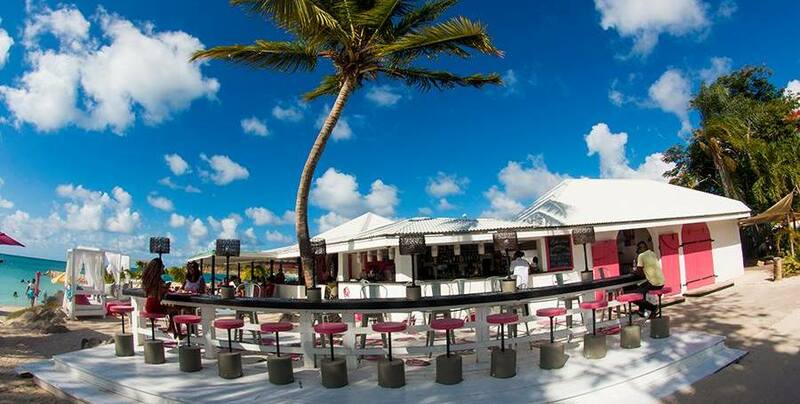 Daytime at Coconut Grove is very casual – you can wear your bikini in the bar. At night we transform into a magical, candle-lit restaurant offering the most romantic setting for dinner on the island. 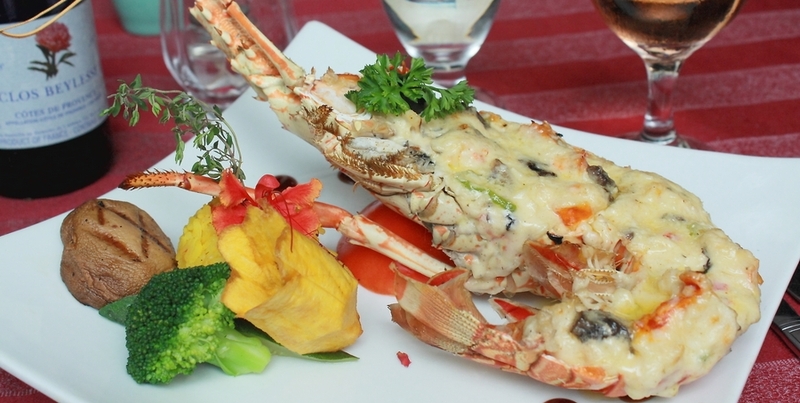 The menu has something to suit every taste, from the famous lobster thermidor to watermelon and feta salad, from sirloin steak to a burger and fries. Many of Coconut Grove’s dishes, such as Antigua salt fish and Jamaican jerk pork, celebrate its Caribbean location. Coconut Grove prides itself in sourcing the highest quality, freshest ingredients on the island. There is also an extensive wine list that complements the menu. 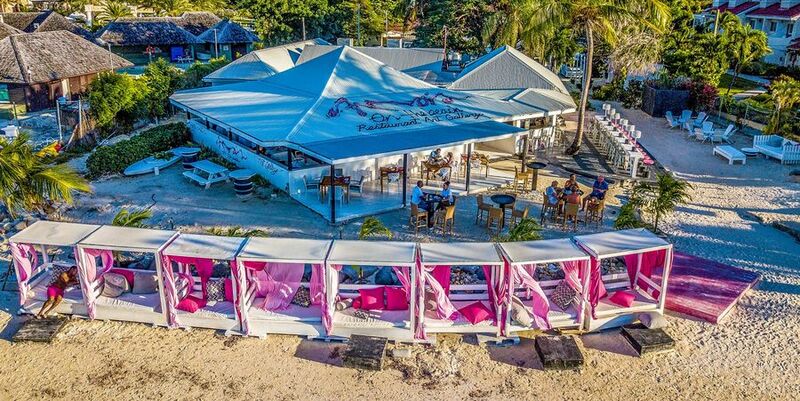 Coconut Grove will be closing on April 19th as part of the expansion programme at Siboney Beach Club and will reopen on July 1st.